Somewhat in keeping with the news on Italian publication, I’m late on this band-wagon too, for which I apologise. 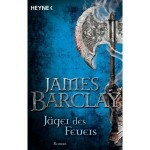 Heyne, my exceptional German publisher, is re- issuing The Raven novels as single books (having originally published each in two volumes). 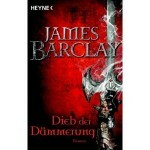 Dieb der Dämmerung (Dawnthief) was published in May 2010; Jäger des Feuers (Noonshade) was published in December 2010 and just recently, Kind der Dunkelheit (Nightchild) appeared on the shelves in April 2011. 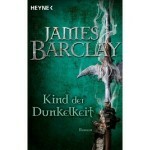 Just click on the title to head to the relevant amazon.de page should you wish to buy (and why would you not?). Got to say I’m loving the new covers, managing to retain the simplicity of colour of the originals while including striking imagery. Great stuff. So for those of you who’ve written chasing out of print versions of the original books, help is at hand and it’s damned god looking too. Yes, yes, I’m late doing this piece of news… a year late, actually, but that’s life. 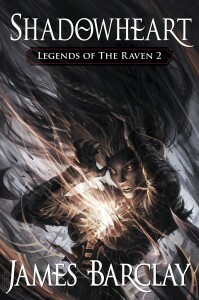 The Chronicles of The Raven trilogy is being published in Italy right now. 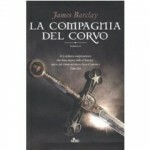 First out in March 2010 was La compagnia del Corvo (Dawnthief) and in April 2011 it was followed by Il sortilegio del Corvo (Noonshade). Covers for both books are beautifully done and, I’m happy to report, both books are selling really well last time I looked on amazon.it, where you can of course buy them should it take your fancy. Just click the titles above to get to the relevant amazon.it page. 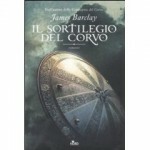 For interviews and excerpts in Italian, go to fantasyplanet.it . I’d love to hear from Italian readers what they think of The Raven so far. For all the goodness you ever needed about Once Walked With Gods (and indeed links out to all my books), give this link a good clicking. beautifully written with touches of emotional context richly woven within. clearly a demonstration of James’ talent that he manages it with skill to spare. 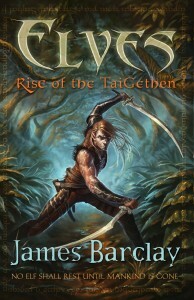 The second book in the Elves trilogy, Rise of the TaiGethen, has been delivered to Gollancz. This book moves the story on about a hundred and fifty years following the events of ‘Once Walked With Gods’ with Calaius under the brutal occupation of man. For anyone who hasn’t seen it, I’ve attached a picture of the cover art by Dave Rapoza. It’s absolutely bloody brilliant and I’m really looking forward to seeing it dominating the shelves of all good bookstores. I’m part of the inaugural Pyr books (my US publisher) round table blog with the splendid Mark Chadbourn and the equally splendid Jasper Kent. The result is a really interesting one, pointing out very ably, the different ways authors approach their work. Good stuff. If you fancy even more information about me (and I can think of no reason why you wouldn’t, by the way) then a visit to Elitist Books will give you a few happy minutes of entertainment and a smiley picture. Don’t delay, click here today. That is the last rhyme I shall do for some time. Possibly forever. So, here it is, the Elitist Books review of the US edition of Shadowheart. That makes it sound really different from the UK version but of course, all the words are the same. Ahem. The cover though, that’s different and it’s another storming effort from Raymond Swanland (and just you wait for the covers of the last two books… oh my). SHADOWHEART is a full, full novel. 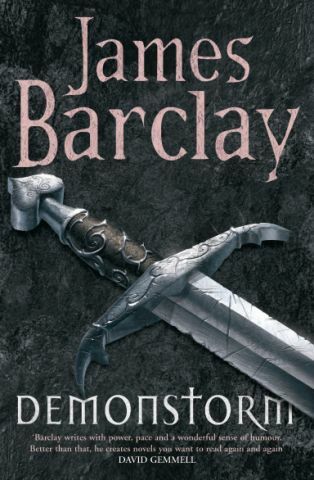 Barclay does a fantastic job of showing how betrayed The Raven feel throughout everything. No matter what they do, or how many they save, they are still hunted for the power they hold and represent. The goodness that is the full review can be found right here. Read, enjoy and then race out/to the PC and buy your copy and get everyone you know to do likewise (that includes the 768 best mates you’ve got on Facebook). Bloody hell, am I funny or what? The elite mercenaries of the Raven go from heroes to fugitives when one of their number is condemned to death. In the meantime, a war that pits the four magical colleges against one another leaves the lands of western Balaia vulnerable to attacks from their enemies to the east. The sequel to Elfsorrow delivers more action-packed fantasy adventure with a deeper focus on the characters’ interpersonal relations. Barclay’s talent for depicting the carnage and frenzy of war gives his battle scenes a realism that brings home both the horrors experienced and the courage of its participants. VERDICT Military fantasy of the highest quality informs this powerful novel, which will appeal to fans of Glen Cook’s classic “Black Company” novels. See? Oh, and it’s got another magnificent piece of Raymond Swanland cover art. The man is a true legend. Buy, read and tell your friends to do likewise.